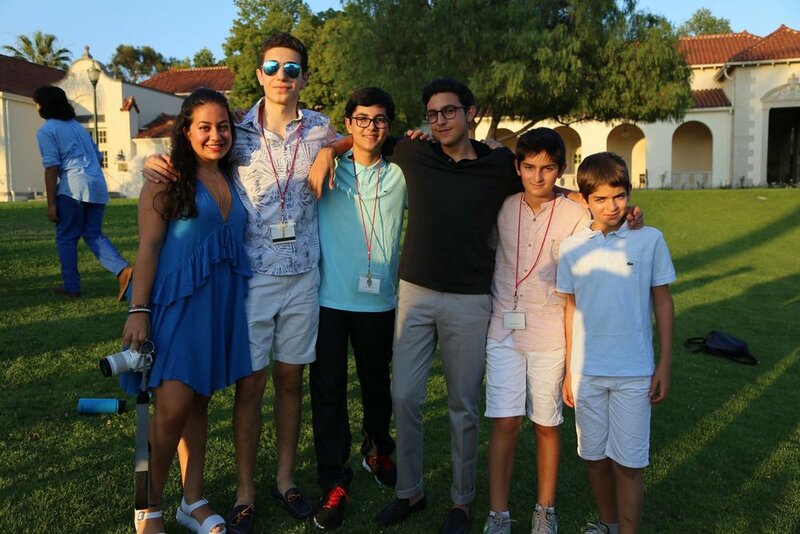 Camp ayandeh engages, educates, and empowers Iranian youth in diaspora through an inclusive, intentional space where they discover a strong sense of self and become agents of change. Camp Ayandeh is heading to Toronto, Canada! IAAB will be holding Camp Ayandeh and Camp Javan in collaboration with Tirgan Festival. Camp Ayandeh will be held July 15th-24th in Toronto, Canada. Camp Ayandeh is open to all current high school students (current 9th grade through 12th grade students). Please note that current 8th grade students must apply to Camp Javan. Camp Ayandeh is held concurrently with Camp Javan. Tuition Fee: Camp fees, which include all meals and snacks, and transportation to and from Toronto Pearson International Airport total $2200. Application Details: The application cycle is open for our 2019 summer programs. For more information, please visit our FAQ. If your question is not answered in the FAQ, you may email us at: campayandeh@iranianalliances.org. Due to a high volume of emails, we will only respond to inquiries not answered in the FAQ. Any new questions will be added to the FAQ so please check back regularly. Build the confidence and skills to be leaders. Learn about their culture and history. Develop a stronger sense of self and responsibility for others. Gain long-lasting friendships and a community of peers and mentors. Camp Ayandeh is IAAB's celebrated life-changing youth summer program. Camp Ayandeh is a 10-day overnight camp that empowers rising 10th grade students through rising college freshmen to be more informed about themselves and the world. Camp Ayandeh incorporates cultural and educational activities that go beyond simply educating to inspire youth to become positive leaders in their communities. Camp Ayandeh cultivates confidence in campers and develops leadership skills through community-building activities, cultural, historical and artistic workshops, and critical discussions. As a non-political and non-religious camp, Camp Ayandeh is open to all races and creeds. Participants travel from across the United States and even internationally, though all activities are in English. Founded in 2006, Camp Ayandeh has grown to include nearly 1000 youth and young professionals from over 40 states, six countries, and three continents. Our campers are change-makers and inspiring leaders who are active members in their local communities. Young people leave IAAB's programs with the tools to advocate for themselves and their communities. Our alumni have gone on to work on the Hill or in the White House, receive prestigious fellowships, become groundbreaking scholars in their fields, run for political office, and pursue business ventures related to education, technology, and social change. "Ayandeh has been life-changing for me. I am a completely new person. I am smarter, more confident, and have stronger leadership roles within the Iranian-American community." "I identify in many ways as an American, but some qualities about my culture and persona were difficult to rationalize into an American identity. At Camp Ayandeh, I can reconcile these two parts of my personality and ultimately find myself."